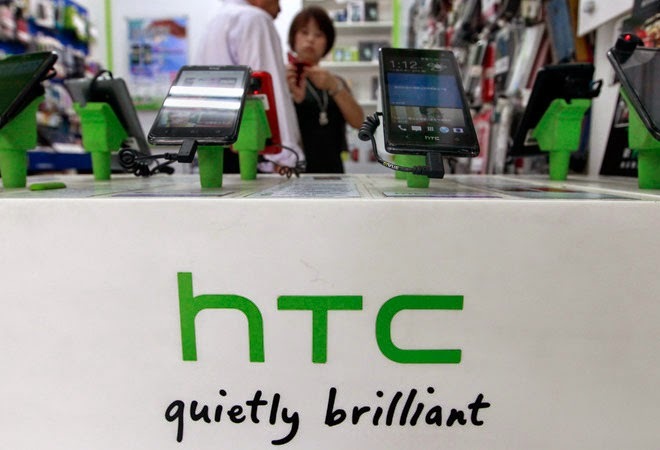 As part of wall Street Journal,HTC planning to release new tablet which is comes with 9-inch wider screen with lot of new configuration.As per the Wall Street Journal this smartphone comes with various configuration like HTC Nexus 9 NVIDIA’s Tegra K1 quad-core processor.This new tablet expected to launch in October of this year.The new Nexus 9 tablet from HTC will come with latest version of Android, which will Android L at the time of its release. 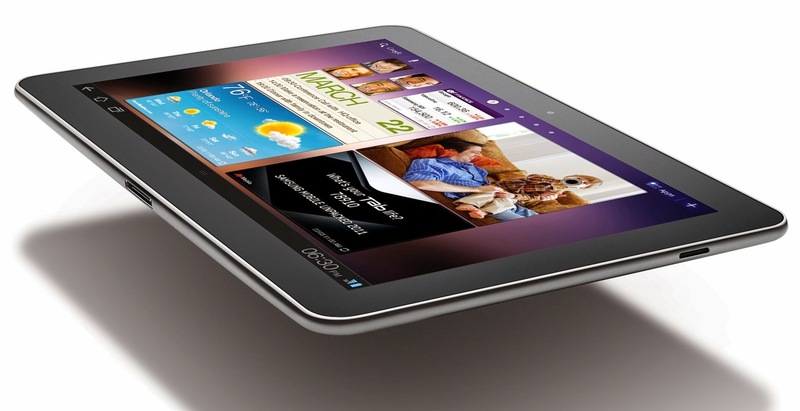 HTC 9-inch wider screen Nexus tablet coming soon. 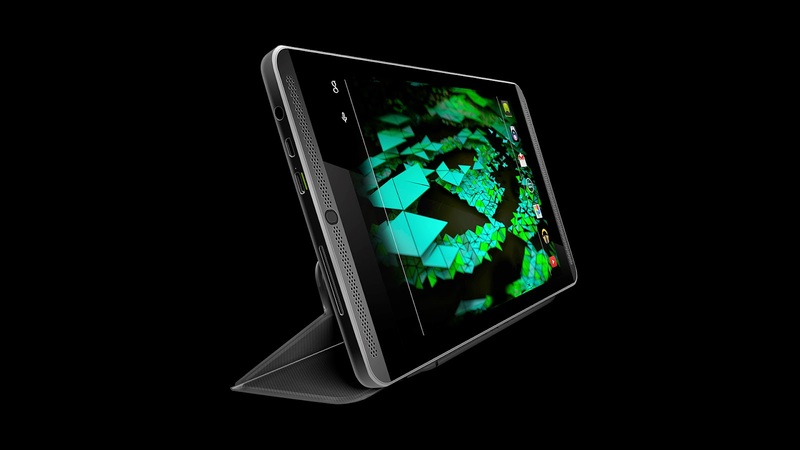 The new tablet which is released by NVIDIA recently all over the world.Now it started selling the tablet in US as well as in Europe.As per the media statement NVIDIA open the pre-order in US.The new NVIDIA shield tablet comes with price tag of $399 and it will be available in hand on Sep 30 2014.The new shield tablet comes with Tegra K1 chip set which is recently launched exclusively for tablet.Also it has 2GB of RAM and 32GB of internal storage as well as it has microSD card slot available for additional storage and it runs with Android 4.4.Also the new tablet comes with 5MP of front end camera with rear facing camera as well.As per NVIDIA the new tablet cost around $299 for two-year contract from AT&T.Also NVIDIA released lot of new games like Beach Buggy Racing, BombSquad and Broadsword. Pre-Order open for Shield Tablet in US and Europe. In the IFA event Acer has announced two new Android smart devices.The one Which is Iconia One 8 and Iconia Tab 10 tablets.These are released in the company Iconia series gadgets.The new Acer Iconia One 8 and Iconia Tab 10 comes with 8-inch and 10-inch tablets respectively.When we look at One 8 first the tablet is powered by Intel Atom Z3735G quad-core processor and packs a 1280x800p IPS display, and Android 4.4. But the complete specification has not clear at this time.But it has released in ten color variants like Jade Green, Sunshine Yellow, Vivid Orange, Sky Blue, Essential White, Midnight Black, Fragrant Pink, Violet Purple, Mia Blue and Garnet Red.It will started sale on October with price tag of 149 euros. Also when we look at the Acer Iconia 10, the tablet features a 10.1-inch full HD IPS display, quad-core MediaTek processor, 5MP rear camera, 2MP front camera and Android 4.4. 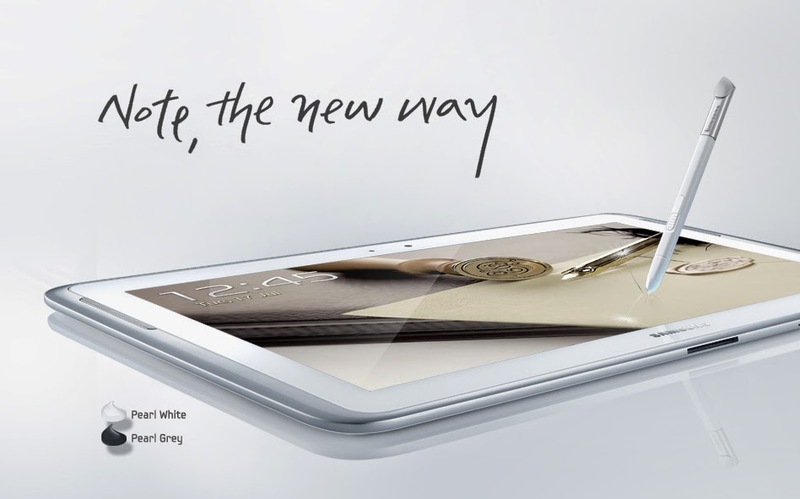 In addition, the tablet includes 1GB of RAM, 16/ 32GB of internal storage, microSD card slot and Wi-Fi.This new tablet will start sale from this month for starting $199 (199 euros in Europe) in White and Black colour options. Acer released new smartphone in addition to tablet called Acer Liquid Z500. 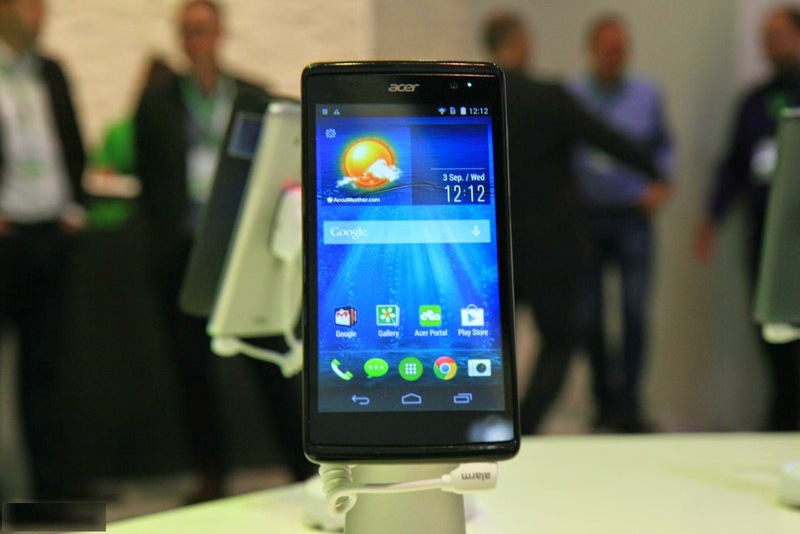 Acer has announced the new Liquid Z500 smartphone, which comes with 5-inch display, 8MP rear camera and Android 4.4. The smartphone will available in Europe starting September 15 for 149 euros. Samsung has started selling the flagship tablet series of Tab 4 in India market.Now the tablets are available in India with all online retailers.The new tablets called Samsung Galaxy Tab 4 10.1-inch and 8-inch display screen.The two new tablet Samsung Galaxy 10.1-inch comes with price tag of Rs.INR 29,750 and other screen size which is 8-inch Tab 4 costs INR 23,490.Initially it was launched in April month of this year. When we look at the specification like Samsung Galaxy Tab 4 tablets come with 1280x800p HD display and are powered by 1.2GHz quad-core processor. 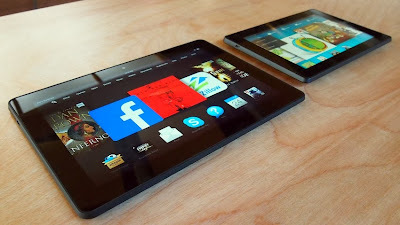 The tablets also feature Android 4.4, 3G, Wi-Fi, 1.5GB of RAM, 16GB of internal storage and microSD card slot. On the imaging front, Samsung has included a 3MP rear camera and 1.3MP front shooter. 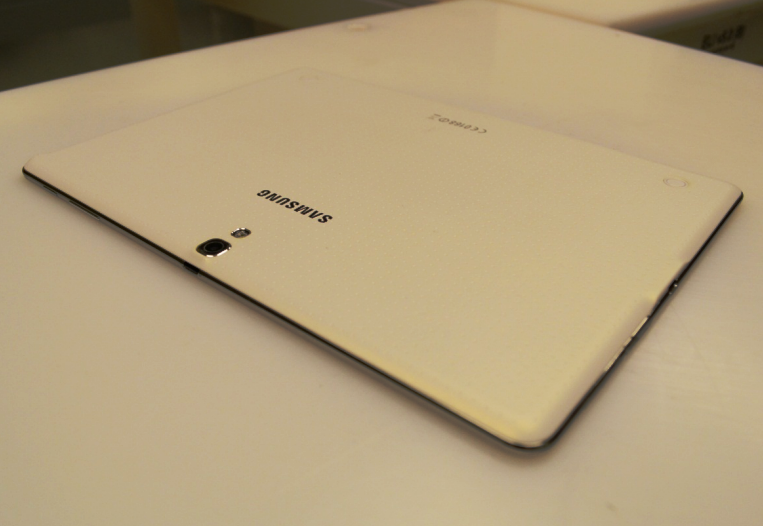 Among other specifications, Samsung Galaxy Tab 4 8.0 packs 4450 mAh battery, and Tab 4 10.1 comes with 6800 mAh battery. New Samsung Galaxy Tab 4 started sale in India. 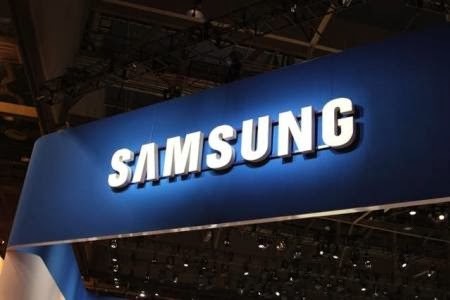 The very first and fresh image has leaked online for the upcoming Samsung Galaxy Tab S 10.5.This image has shared by SamMobile.As per the image the korean manufacturer has follow the same style of design and hardware design.Also the new Samsung Galaxy Tab S coming with premium tablet series and it will come in the TabPro-series as well. Also the new tablet comes with configuration like Super AMOLED WQXGA 2560x1600p display, octa-core Exynos 5 (5420) SoC, 3GB of RAM, 8MP rear camera and 2.1MP front camera. The Galaxy Tab S will also reportedly pack IR blaster, Wi-Fi, Bluetooth, fingerprint scanner and Android 4.4.2 with Samsung’s Magazine UX.But as of now there is no price and release date available and not yet announced. The new tablet will be reached to the Germany smartphone market through Amazon online store.The new Acer Iconia B1-730 smart tablet is appears online in Amazon website and Retailers website in Germany.This new tablet launched in New York April 29th.The new tablet comes with specification of 7-inch wider screen with HD Display resolution as well.This tablet comes with 1.6GHz processor with dual core Intel Atom Z2560 processor. And this tablet runs with latest Android version of Jelly Bean.Now camera is one of the important feature in Tablets so it has 5MP rear camera and 3700 mAh battery. When we look at the access speed and memory it has 1GB of RAM attached and it has 16GB of internal storage with expanded microSD card slot as well. 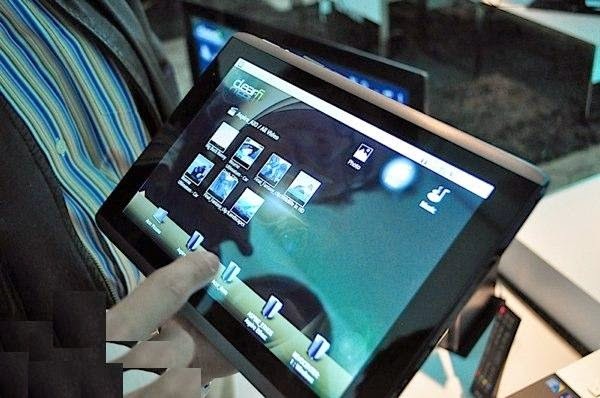 Acer's new Iconia tablet coming soon. The latest Samsung Galaxy Note 10.1 which is recently launched in 2014 year.This tablet received the OTA update to upgrade the Android Kitkat version.Actually this tablet has running with Android 4.3 earlier now it has upgraded to Kitkat version.The new 550MB of software update brings the lot of new changes and enhancements.This software update brings all the features of Android kitkat version as well as it has included some new features like graphical changes and all.Once you received the update put your user experience here. Samsung Galaxy Note 10.1 received Kitkat update. 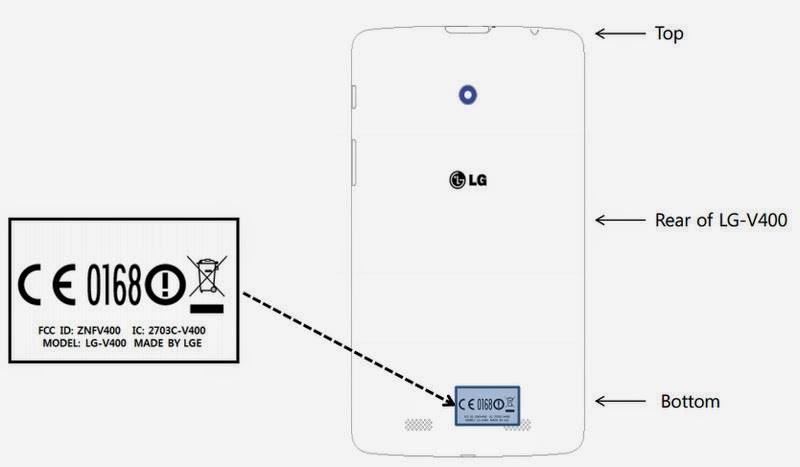 LG has released its first tablet on 2013 which is comes with name of LG G Pad 8.3.Now LG again planning to release the new tablets which is recently captured in FCC and its name called V400 and V700.These two tablets are coming with aluminum-backed slate and its look like Google Play station edition.Now we will look detailed information about the LG V400 which is similar to the earlier version of LG G Pad.Based on the FCC image this tablet also comes with rear speakrs,volume Jockers as well as headphone jack inbuilt. 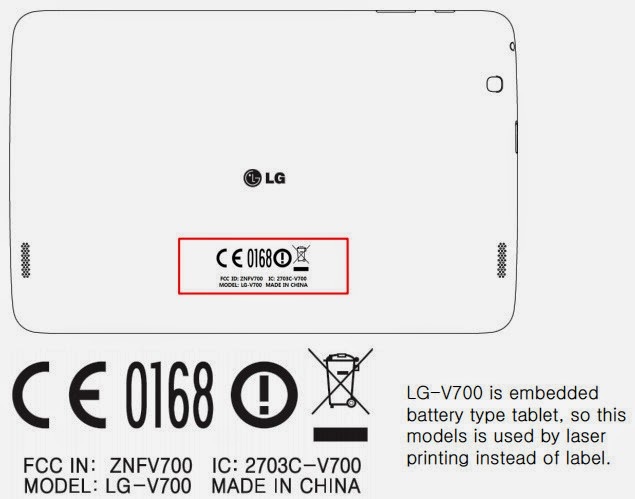 Also this smart tablet is comes with 8.3-inch wider screen G Pad.Also other version called V700 may the LG first large size of tablet after G slate.This tablet comes with 3D model tablet and it has runs with Android 3.0 honeycomb.But based on the image its difficult to describe about the size of the tablet.Also it will have stereo speakers and the screen may come with 10-inch wider screen.So soon we will receive new tablet which is runs with Android in 2014. 6000 mAh battery and water/ dust resistance. 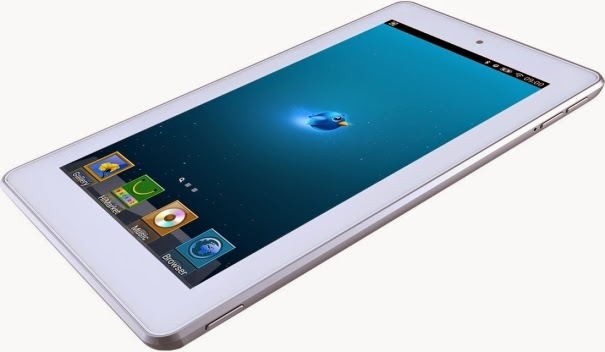 Lave is one of the India based smart phone and tablet manufacturer and released budget based smartphones and tablets.The new Android based QPADe704 tablet has released recently with budget price.The new tablet comes with 7-inch wider screen with powerful display resolution of 1024x600p. Also this tablet comes with 1.2GHz processor with quad-core ability with broadcom 28155 processor added.The new Lava tablet comes with Android 4.2 with 3MP rear camera attached.The complete specification has listed below.The new Lava tablet QPAD e704 price Rs.9,999 in India. There is a number of rumors which is running around in the web about the next Nexus tablet from Google.As of now some authorized information has reported from Digitimes that Google soon will launch new Nexus which is comes with bigger screen 8.9-inch tablet.As well Google will launch 8-inch tablet as well.The new Nexus expected to come with 2K screen resolution. 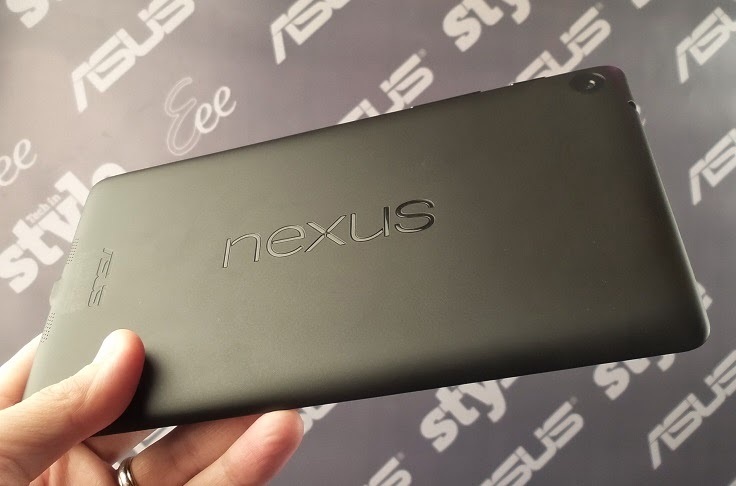 The Nexus 10 comes with 2560x1600p resolution screen.These two tablets are in production and soon it will be launch between July.Also one of the rumour says that Google may introduce new Nexus in Google I/O event as well. Also almost the new Nexus may come with Snapdragon processor with powerful quad-core processor.As well as it will be comes with 2GB of RAM and latest Android version Limelight with 2MP front end camera and 5MP back end camera.Also as of rumour the new Nexus coming with price tag of $299. 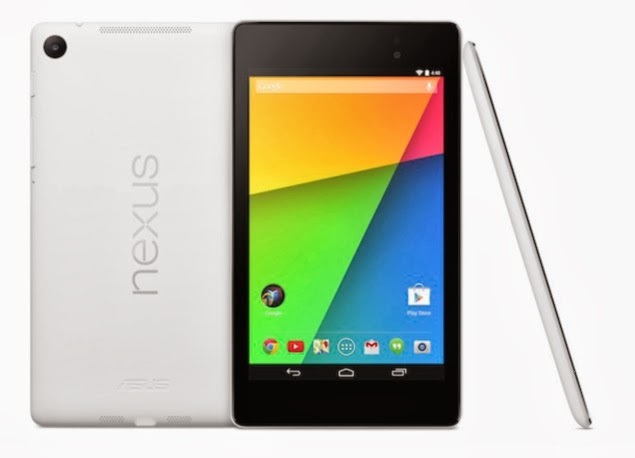 Google expected to launch Nexus 8.9-inch in 2014. 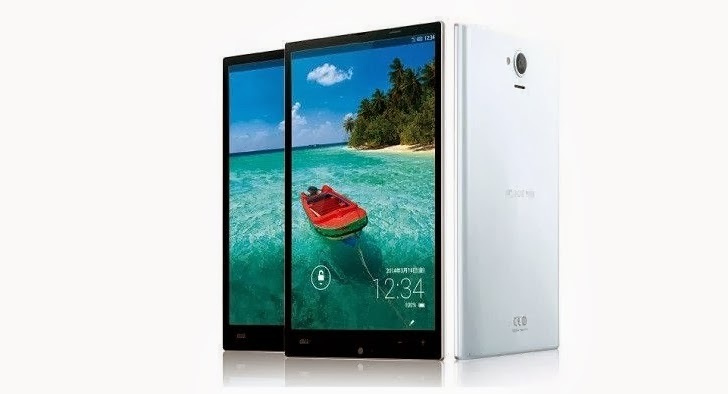 One of the Chinese smartphone manufacturer Gionee launched two new smartphone in India market.The new smartphone called Gionee M2 and Gionee GPad G4.These two new smartphone price in India Gionee M2 Rs.10,999 and Gionee GPad G4 Rs.18,999. The new smartphone Gionee M2 comes with internal configuration of 5-inch FWVGA display, Android 4.2, and 1.3GHz quad-core processor. It also packs dual-SIM support, 8MP rear camera, 2MP front camera, 1GB of RAM and 4GB of internal storage and microSD card slot.Also it has powerful 4200 mAh battery and the connectivity options like 3G, Wi-Fi, and Bluetooth. The other smartphone Gionne GPad G4 comes with features like a 5.7-inch 1280x720p HD display, 1.5GHz quad-core processor, Android 4.2 and 13MP rear camera. 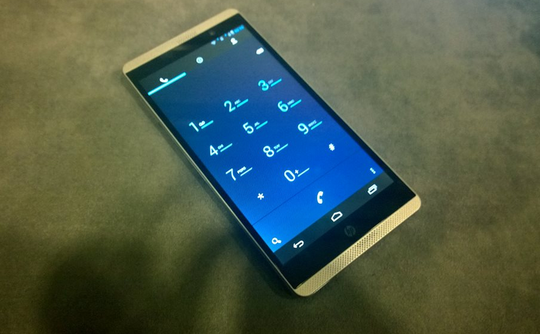 This smartphone has 5MP front camera which is really good for video chat, 1GB of RAM and 16GB of internal storage. Gionee GPad G4 has powerful3200 mAh battery with dual-SIM support. 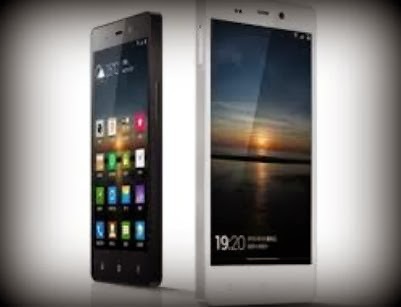 Gionee launched smartphone and tablet in India. Amazon.in recently announced really a good news for all the gadget lovers in India.Amazon India is planning to launch their Kindle Fire HD 16GB version just for Rs.15,000.The Kindle Fire HD which is comes with 8.9-inch wider screen with 16GB of storage.Actually this offer is only available for India based customers and as part of promotional offer from Amazon.in India. Normal price of this tablet comes around INR 17,999 but as part of promotional offer its been selling at Rs.15,000 so we have save around Rs.2,999.The configuration and spcification of Amazon Kindle Fire HD 8.9 tablet comes with an 8.9-inch 1920x1200p IPS display, 1.5GHz dual-core TI OMAP 4470 processor, 1GB of RAM, Wi-Fi and Bluetooth 3.0. 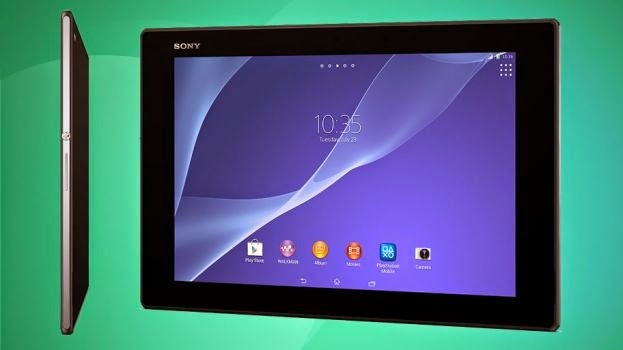 The tablet also features Android 4.0.3 based Fire OS (update available), and front camera. Sharp expected to launch two new smartphone already we have seen AQUOS PHONE SIRIE Mini smartphone.Now we will look at the specification of another smartphone called Sharp AQUOS PAD SHT22 smartphone.This new smartphone comes with 7-inch wider screen which is comes with perfect resolution of 1920x1200 mega pixel resolution screen.This smartphone runs with Android 4.2 OS which is now bit older version of Android.This smartphone comes with 13.1MP rear camera which is really good and it has front facing camera with 2.1MP camera.It has powerful battery of 4080mAh battery power.This smartphone comes with 2GB of RAM with 16GB of internal memory as well.Also it has feature for additional storage for microSD card slot added.For the data connectivity it has NFC with LTE support as well.This smartphone comes with dust and water proof technology as well. In India Dell has recently announced two new smartphones called Venue 7 and Venue 8 which is running on Android OS.Also these tablets are already released in US on October 2013.When we look at the configuration both are similar with minor changes in the specification. The new tablets are running with Android 4.2.2 as well as this tablets are powered with Intel Atom Z2580 Clover Tail+ processor and chipset. 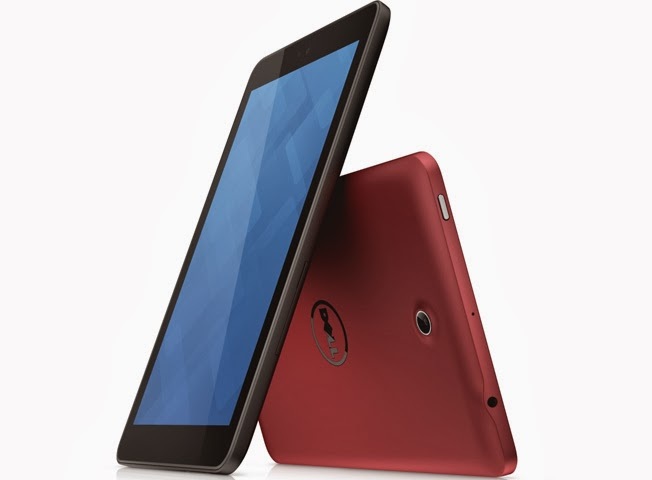 Also it has comes with 2GB of RAM and it has included microSD card slot attached for the additional memory.The storage option included with 16GB for Venue 7 and 32Gb of Venue 8 tablets.The data connectivity options include Bluetooth 4.0 as well as these tablets are coming with 1280x800p resolution display screen.It hass powerful battery power of 4100 mAh battery and microUSB port 2.0 available.These tablets comes with camera avaialble at front and back side.As per Dell statement Venue 7 tablet available for the price tag of Rs.10,999 and Venue 8 tablet avaialble for Rs.17,499 in India. 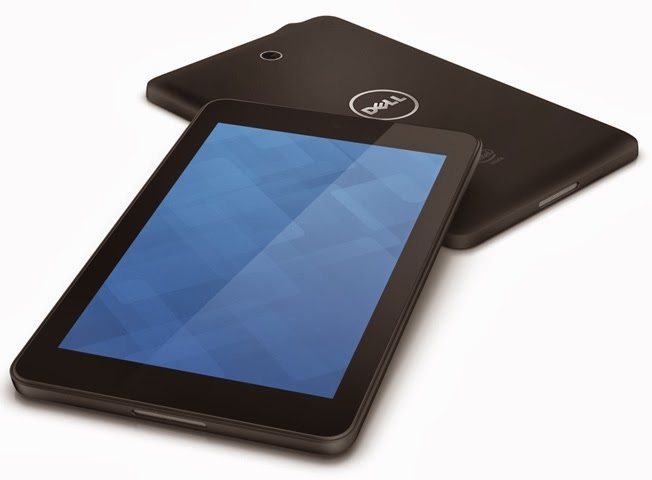 Dell launched two new tablets in India. Another phablet has released from Alcatel one touch brand by TCL.The new Pop c9 phablet comes with wider screen with 5.5-inch wider screen with qHD resolution with IPS display as well.Also this phablet comes with 1.3GHz processor with quad-core capacity processor.It has good camera features like 8MP camera at the back side and 2MP camera at front facing side.Also this phablet comes with good battery power of 2500mAh.Also this phablet comes with different colors like Bluish Black, Cherry Red, Full White, Hot Pink or Fresh Turquoise.In the Chinese version of phablet C9 called Idol X+ as marketing in China.The complete specification has given below. 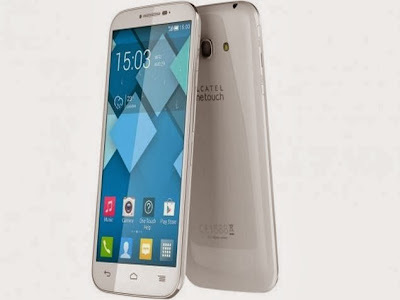 Alcatel one touch phablet Pop C9 released. Actually Amazon now a days giving more offer on their own product because of the Christmas holidays.Now Amazon announced that the new Kindle Fire HDX comes with price tag of $184.Actually this deal is comes with 20 % discount.Its available only at United States deal not for other countries. Now the Kindle Fire HDX started offering at the price tag of $183.20 which is $45 less.Along with this offer one more offer has announced by Amazon like 20% discount on Amaon Kindle Fire HD which is started selling on the price tag of $136.For the Gentle reminder, Amazon Kindle Fire HDX comes with Android 4.2.2 based Fire OS 3.0 (3.1 update already available) with wider screen display of 7-ich 1920x1200p pixel density. Also it has runs with 2.2GHz Qualcomm Snapdragon 800 processor, 2GB of RAM, 16/ 32/ 64GB of internal storage and front HD camera.Also other smartphone tablet Kindle Fire HD comes with 7-inch 1280x800p display, 1.5GHz dual-core processor, 8/16GB of internal storage, 1GB of RAM, and Fire OS 3.0. 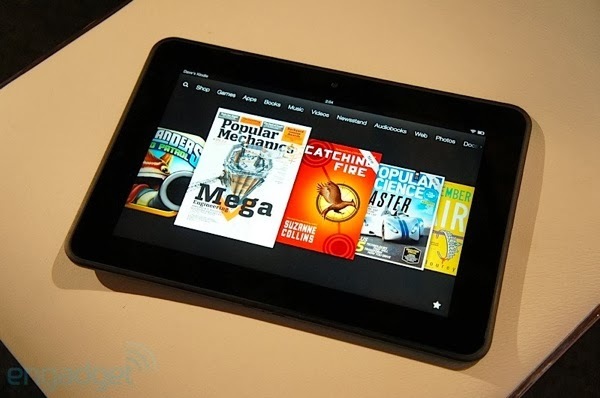 Amazon latest offer for Kindle Fire HDX. Samsung is planning to release completely new look and feel tablet on coming Jan 2014.The new tablet Galaxy Tab 3 Lite expects with lot of changes.Also the new Galaxy Tab 3 comes with model number of SM-T11 with price money of Euro 100.As of now there is now official confirmation about the specification and other details but as per rumor we have got some information about this tab. Samsung doing R&D for Galaxy Tab 3 for Jan 2014.